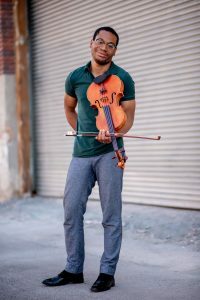 Four top-tier post-graduate string musicians from underrepresented communities have been announced as the first class of the Los Angeles Orchestra Fellowship, a program designed to increase diversity in American orchestras. Launched in August 2018, the groundbreaking program was conceived by a partnership of Inner City Youth Orchestra of Los Angeles (ICYOLA), the country’s largest African-American-majority youth orchestra; Los Angeles Chamber Orchestra (LACO), one of the world’s leading chamber orchestras; and USC Thornton School of Music, one of the country’s top music programs. 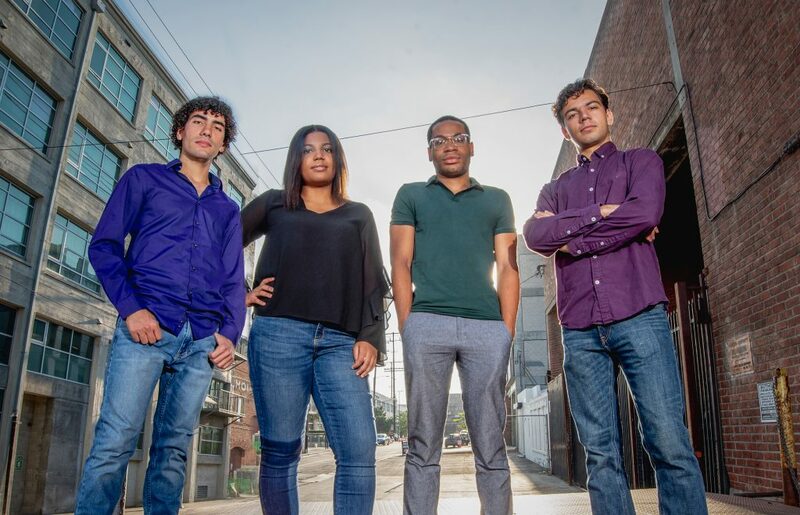 Violinist Sydney Adedamola, violinist Ayrton Pisco, violist Bradley Parrimore and cellist Juan-Salvador Carrasco will receive a 360-degree view of a career as an orchestral musician in this rigorous two-year training program. A key pillar of the Fellowship is artistic mentoring the Fellows receive from LACO musicians and USC Thornton faculty. In turn, Fellows will actively mentor, teach, and guide young ICYOLA musicians. Among the other opportunities provided are extensive performance and rehearsal experience; compensation, benefits, housing; and unprecedented support to prepare participants to win auditions in professional American orchestras. The Fellowship was developed to address the fact that less than 5% of America’s orchestra workforce is African American, Hispanic or Native American, according to a 2016 report on diversity issued by the League of American Orchestras. Adedamola, Pisco, Parrimore and Carrasco will receive a range of practical, in-the-field experience. As participants in intensive mock auditions run by Los Angeles Chamber Orchestra, they will learn essential prep tips and best practices. They will perform and rehearse as part of ICYOLA, USC Thornton Symphony and in LACO’s strings sections. Fellows will also perform as a string quartet throughout Los Angeles, especially in underserved communities. The Fellows experience regular artistic mentoring and coaching from LACO strings principals, including Concertmaster Margaret Batjer, and section musicians, as well as weekly lessons with USC Thornton faculty, including Batjer, violinist Bing Wang, violist Karen Dreyfus and cellist Ralph Kirshbaum. The Fellows’ work with Los Angeles Chamber Orchestra includes performing chamber music alongside New York Philharmonic Principal Clarinet Anthony McGill, one of the classical music world’s finest solo, chamber and orchestral musicians, during his week with LACO as the Shaheen and Anil Nanji Guest Artist-in-Residence, which includes community engagement activities and free public performances. 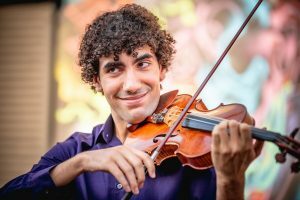 They’ll perform as part of LACO’s strings section at two orchestral concerts, one led by violin soloist and Toronto Symphony Orchestra Conductor Emeritus Peter Oundjian, with works to include Beethoven’s Symphony No. 5, and the other by LACO’s MusicDirector Designate Jaime Martín, featuring a West Coast premiere by Bryce Dessner and Mozart’s Requiem with the USC Thornton Chamber Singers. 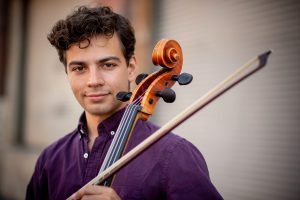 One of their high-profile, free, public performances as a string quartet takes place at Grand Ave Arts: All Access, during a collaborative, “community partners” performance co-hosted by Grand Performances and LACO, which will also include a performance of ICYOLA musicians during the day. Fellows will rehearse and perform with ICYOLA throughout the year, helping guide the orchestra’s young musicians, including its season opener at Holy Names Catholic Church and a program of hymns at Holman United Methodist Church, both located in South Los Angeles’s Jefferson Park area, and a holiday concert at Rolling Hills United Methodist Church. Their work with ICYOLA members will include section coaching, individual mentoring and orchestral performance. Among their appearances at USC Thornton, the fellows will perform in October with Thornton faculty in a recital followed by a panel discussion about diversity & inclusion in today’s orchestras. In 2019, they will perform with the USC Thornton Symphony as part of the annual New Music for Orchestra concert featuring works by Thornton student composers, and at Walt Disney Concert Hall featuring works by Thornton faculty Morten Lauridsen and Frank Ticheli as well as Beethoven and many others. The Fellows will attend arts administration and professional development training with ICYOLA’s Dickerson, LACO senior management and USC Arts Leadership faculty as well as learn entrepreneurial skills including social media and brand engagement. Valued at approximately $140,000 per fellow, The Fellowship covers a full-tuition scholarship for USC Thornton School of Music’s Graduate Certificate program; housing and utilities; approximately $25,000 in compensation, including performance fees; fully paid AFM Local 47 union dues; and eligibility for funds to be used for audition travel during and after the program. The Los Angeles Orchestra Fellowship is funded in part by the Andrew W. Mellon Foundation, the Office of Los Angeles County Supervisor Mark Ridley-Thomas and AFM Local 47. 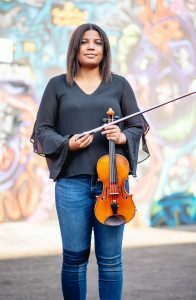 This entry was posted in All News, Features and tagged ICYOLA, Inner City Youth Orchestra LA, LACO, Los Angeles Orchestra Fellowship on September 12, 2018 by admin.